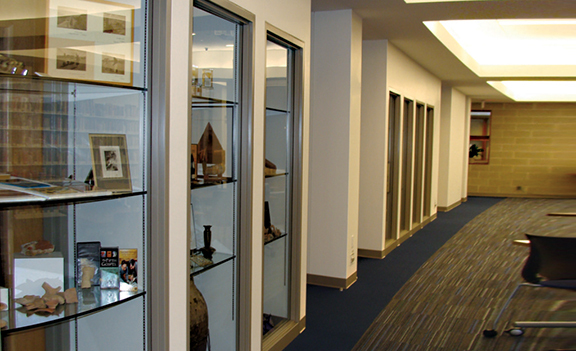 The University of Hartford’s Greenberg Center for Judaic Studies, which moved to spacious new facility in late 2017, houses many of archaeological finds discovered by Dr. Richard Freund and his students. WEST HARTFORD – The University of Hartford is losing its very own Indiana Jones. Dr. Richard Freund, archaeologist, explorer of historical sites around the world and director of the Maurice Greenberg Center for Judaic Studies at U of H for the past 20 years, will now lead a newly formed Judaic studies program at Christopher Newport University in Newport News, Virginia. Dr. Freund will become the inaugural holder of the Bertram and Gladys Aaron Endowed Professorship in Jewish Studies. Bertram Aaron, who together with his wife, Gladys, endowed the professorship, said Freund was a perfect fit for his new post. “Richard Freund was precisely the type of teacher and scholar we had in mind when we established the professorship. He will serve the university superbly and bring energy, insight and a spirit of engagement to the Jewish and other communities across the Hampton Roads,” said Aaron. 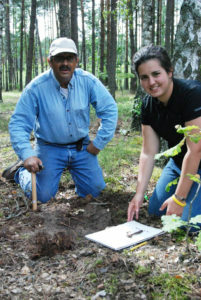 Dr. Richard Freund and U of H student Sarah Rutman on a dig at the site of the Sobibor Concentration Camp in Poland. Dr. Freund has directed six archaeological projects in Israel and three projects in Europe on behalf of the University of Hartford including Bethsaida, Qumran, the Cave of Letters, Nazareth, Yavne, Har Karkom (Mount Sinai) as well as archaeological projects in Burgos and Cadiz, Spain and a research project at the extermination camp at Sobibor, Poland. In his 20 years at U of H, he has led a total of 30 different expeditions to Egypt, Jordan, Morocco, the UK, Argentina, Greece, Peru, Mexico, Spain, Israel, Poland, and Lithuania. He is also the author of six books on archaeology, two books on Jewish ethics, over 100 scholarly articles and has appeared in 15 TV documentaries. Freund will serve in the Christopher Newport Department of Philosophy and Religion and will join that university in August after a University of Hartford trip to Lithuania and Greece with students and members of the community. Freund earned an MA, PhD, and rabbinic ordination at the Jewish Theological Seminary before arriving at the University of Hartford in 1999 to take up the post of director of the Maurice Greenberg Center and Greenberg Professor of Jewish History. He was the second person to direct the Center, following the departure of Jonathan Rosenbaum, who became the Center’s inaugural director in 1985. Under his leadership, the Judaic Studies program also grew to include lectureships, concerts, study abroad archaeology programs and a Museum of Jewish Civilization. In addition, Freund recently oversaw the Greenberg Center move from its cramped quarters in the school’s Auerbach Hall to spacious new quarters in the university’s Harry Jack Gray Center. Freund is perhaps best known for leading an international group of archaeologists, scientists, and historians as they searched for the lost city of Atlantis, an expedition captured by the National Geographic Channel’s documentary “Atlantis Rising.” Freund’s team discovered six stone anchors in southern Spain that could date back to the Bronze Age. Freund was also part of the team that discovered a Holocaust escape tunnel at the extermination camp Sobibor, featured on the public television documentary series Nova. Through that effort, Freund pioneered the use of ground-penetrating radar to look for burial grounds. Students accompanied Fruend to Lithuania for the project. 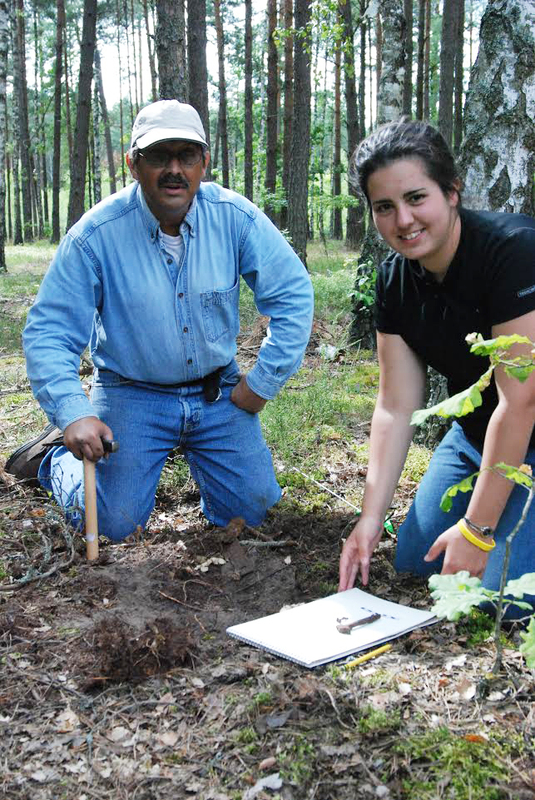 Likewise, students have been included in every aspect of Freund’s research and explorations, participating in archeological and cultural programs during winter, summer and spring breaks. “Richard’s unique form of dedication is represented in particular by his commitment to exposing students to learning beyond the classroom,” said Prof. Avinoam Patt, associate director and director of the Museum of Jewish Civilization. “It is the students that made the experience so meaningful for me,” Freund agreed. While the university has not yet announced the hiring of a new director for the Greenberg Center, Freund said his Greenberg Center colleagues will run things until a new director has been named. 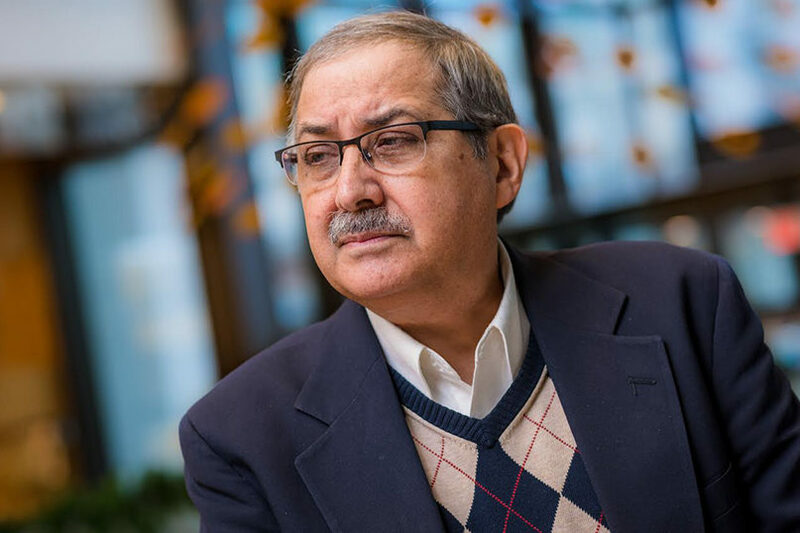 “I know that I am leaving the Center in good hands with Professor Avi Patt at the helm. He will be ably assisted by Yifat Avner and Hazza Abu Rabia teaching Hebrew and Arabic Languages and Literatures, and Susan Gottlieb greeting faculty, staff, students and community members at the new facility,” Freund said. “Richard hired me in 2007, after I left the United States Holocaust Museum to assume my position as Philip D. Feltman Professor of Modern Jewish History,” Patt said. “I came to learn very quickly that Richard Freund is truly one of a kind – he embodies all of the elements of sustained service to the University of Hartford and the Greenberg Center, in his own distinctive, original, and unique way, focused on service to students, service to university life, service to the community and a broader dedication to our educational mission around the world, enhancing the global reputation of the University of Hartford and the Greenberg Center.